Oscar-winning director Guillermo del Toro shared a list of movies on Twitter Monday that he’d written or developed that never got made. Del Toro said he lost more than a decade of work on the projects. 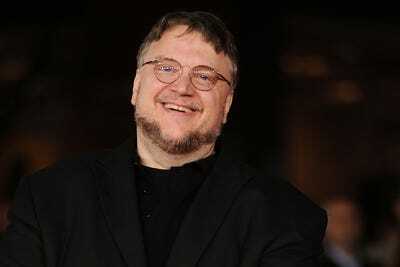 “Justice League” fans could start asking for the “Guillermo del Toro cut” soon. “The thing is- each script takes about a year, so- more than a decade of work lost,” del Toro tweeted. In the comics, “Justice League Dark” is a team that takes on supernatural enemies and is comprised of magic-based characters like Etrigan the Demon and Swamp Thing. It’s far from the super team that audiences saw in Zack Snyder’s “Justice League” movie last year. Unfortunately, neither project saw the light of day. Del Toro was also attached to a “Beauty and the Beast” remake starring Emma Watson before he dropped out in 2014. Disney made its own movie that went on to gross over $US1 billion worldwide last year, but del Toro’s script was not used. Del Toro’s next project is on track, however, as he will write and direct a stop-motion “Pinocchio” movie for Netflix.